a little something i've wanted to make for a long time. when i used to eat whole chickens, the wishbone was always my favourite part. 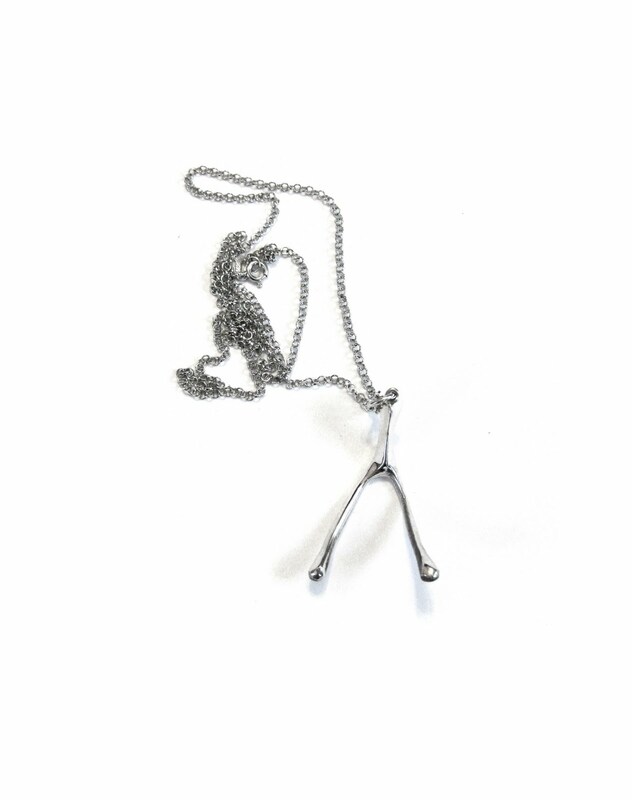 since i'm not so keen on picking at a chicken carcass anymore, i made myself a wishbone in silver. 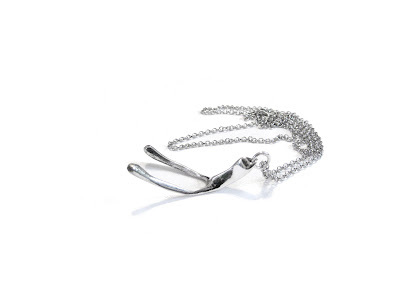 this big wishbone measures 1.75" long and measures just under 1" across. 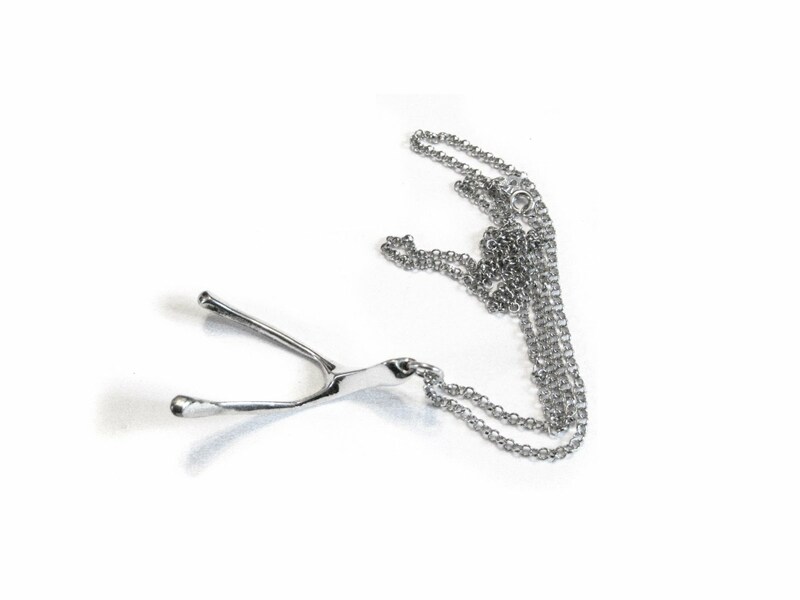 cast in solid sterling silver, finished by hand and then polished to a high shine. available in my online store, or on etsy! "A wishbone, or a furcula (meaning 'little fork' in Latin), is a bone often found in birds consisting of two long bones meeting together at the top. When eating a turkey or a chicken, it's common to come across this kind of bone. The great thing about this bone is that when two people pull on its end, it will split into two pieces, but not cleanly in half. One end will take the top of the bone with it. Traditionally, when encountering a wishbone, two people each grasp one end of the bone (with pinkies for many people), make a wish, and pull. The person who gets the larger portion of the wishbone will have his wish granted. The unlucky person is left to purchase another whole bird carcass if he wants his wish granted."